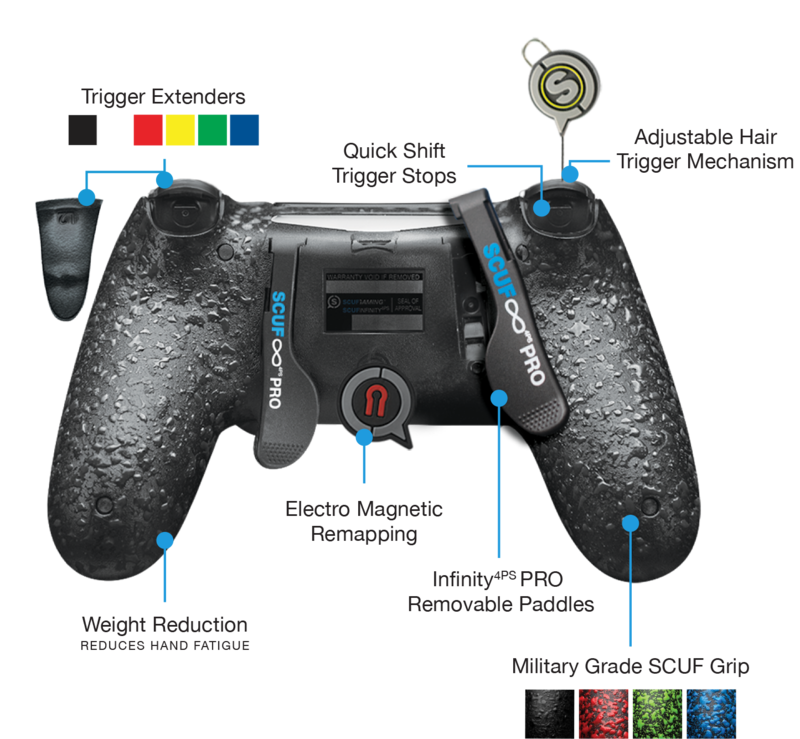 Find out why 90% of pros use SCUF. Take your game to the next level with the fully modular SCUF Infinity4PS PRO. 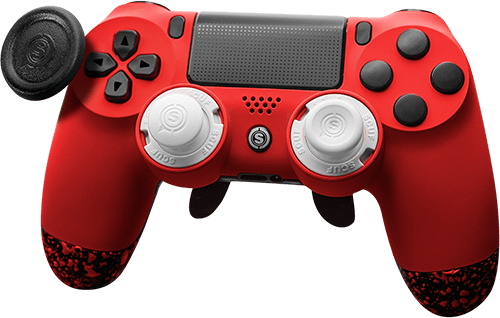 Removable paddles, play wired or wireless, switch thumbsticks in seconds, fully adjust triggers and remap paddle configurations on the fly. 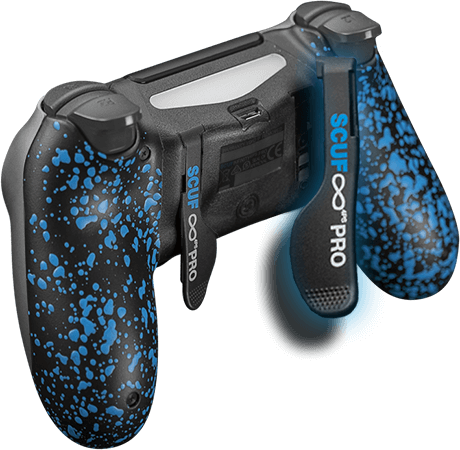 * The SCUF key 0.9mm is included with the SCUF Infinity4PS PRO if the trigger system is selected during configuration. Trigger extenders extend and enhance the natural parameters of the controller. Catering to larger hand sizes and providing improved trigger control. Extenders are fully removable and come in two lengths. Choose from six color options: black, white, red, blue, green, and yellow. * Standard sized trigger covers are provided with the extenders if the Infinity4PS trigger system is selected during configuration. Switch thumbsticks in seconds with the SCUF Ring and Lock system, which comes standard on every Infinity4PS series controller.  Change from regular to tall length, and from domed to concave shape, depending on preference and gameplay style. 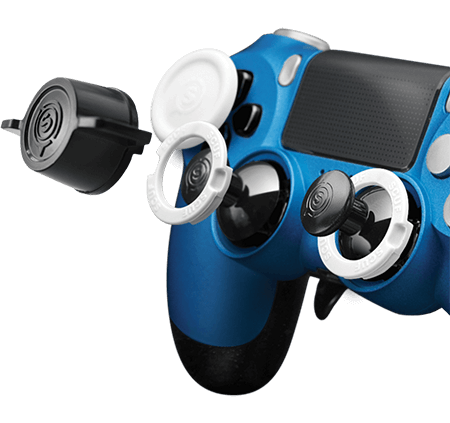 * The SCUF Lock is included with every SCUF Infinity4PS controller. - Built to improve movements, the concave shape allows the thumb to dig in, and is best suited for the left thumbstick. * Every SCUF Infinity4PS series controller comes standard with two black SCUF thumbsticks. 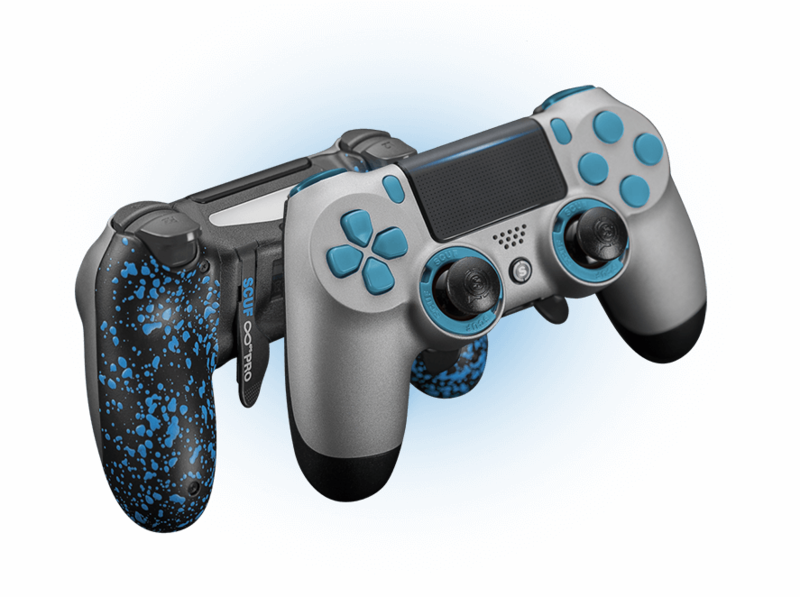 With its innovative technology and wide range of customization options, a SCUF Infinity4PS PRO controller can be used effectively for a wide range of games for PlayStation 4 or PC. From a competitive edge in first person shooters like Call of Duty, Halo and Gears of War, to the precision found in fighting games like Street Fighter and Mortal Kombat, a SCUF can be customized on the fly to game play style. 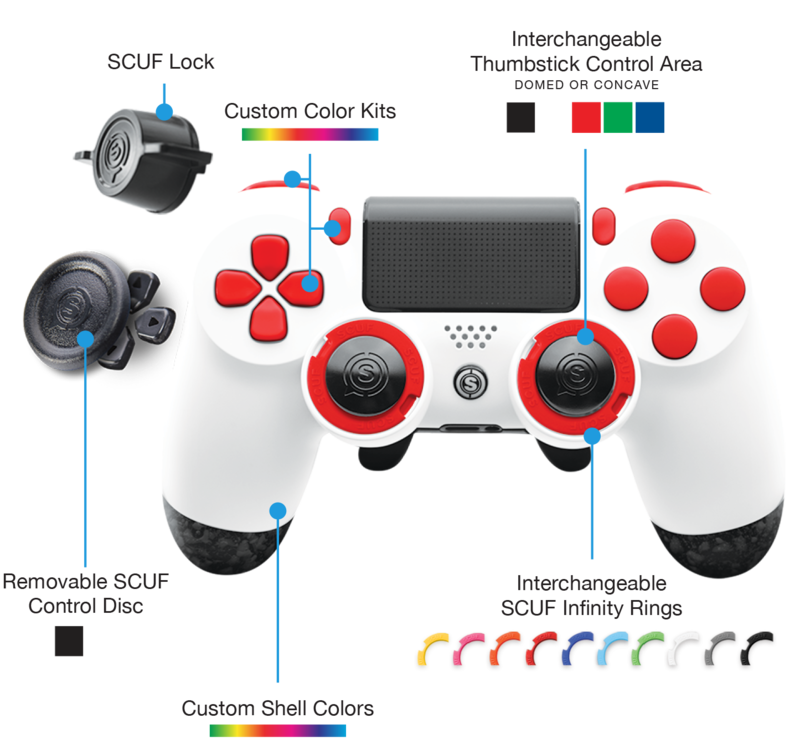 SCUF controller will also give players an edge in sports games like Madden, NBA 2K and FIFA or racing epics like Forza and F1. Try your SCUF in the chaos of Grand Theft Auto, the firefights of Destiny or the wilderness of Uncharted.